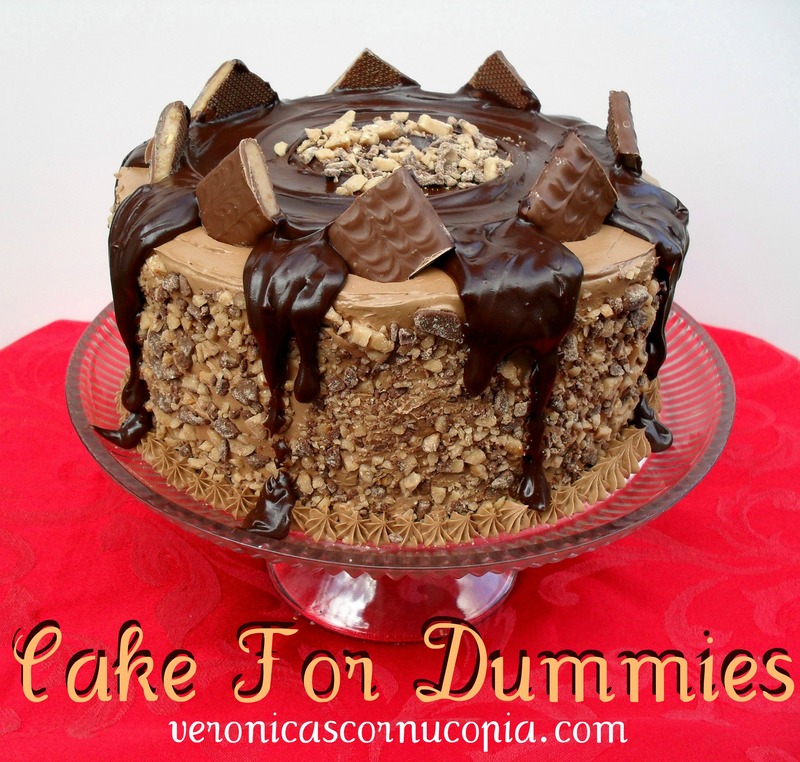 All right, since this is a cake for “dummies” series, I’m going to show you how to decorate a cake using natural embellishments that don’t require decorating skills. Truth be told, I really dislike traditional decorating (not the look, the process) and “decorate” my cakes in this manner whenever possible. In this video, you’ll see me have issues as I proceed with my “decorating,” and I kept the footage in the video to give you an idea of how to overcome issues you might run into with your cakes as well. Don’t let your cake intimidate you. You are the master of the cake, and I can tell you from experience that no matter how bad you mess the cake up, there’s almost always something you can do to fix it. Namely, by covering up the mistake! Also, for those new to cake making, I want to reassure you because it will take some practice before you start turning out really attractive cakes. Don’t be discouraged if your first cakes aren’t as pretty as you would like. Just do your best and you will get better and better with each cake you make. And I promise that no matter what you think of your cake, your family and friends will always be impressed that you made it. You will be adored whether you’re a beginner with crumbs in your frosting, or have advanced to fondant and tiered cakes. Cakes that come out of your own kitchen are more special and when you give a cake made with your own two hands and your love, the recipient will be that much more grateful and impressed. This is the first cake I ever decorated, for a friend who was moving to another city. If I hadn’t watched my mother make cakes for several year’s prior to this attempt, I assure you it would have been much worse. 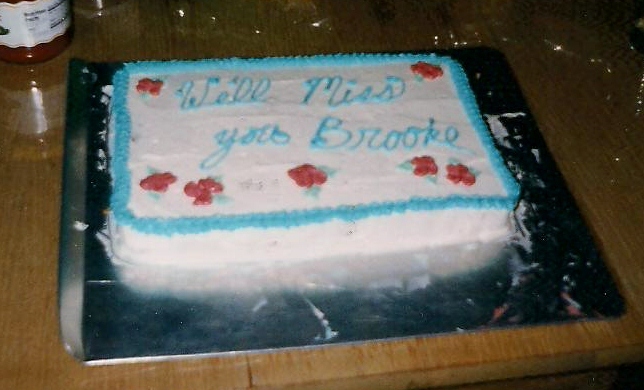 As it was, even with the imperfections, Brooke appreciated the cake very much. She knew it came from my heart. And now, many years later, I’m making cakes like this Dark Chocolate Raspberry Cake that actually require less decorating skills but are, IMHO, much prettier. I hope I’ve encouraged you and helped you in your future cake-making adventures! Much love, and happy caking! Posted in How-To & DIY, Videos and tagged cake for dummies, easy decorating, how to decorate a cake without decorating skills. Bookmark the permalink. I loved your series! For the record, I always frost the top first too…lol Thanks for some great tips! I am totally getting a squirt bottle for water! Fun, informative videos, great job! I forgot too, that I have made birthday cakes for friends before. I’m almost positive I used a recipe of yours a couple years ago because I had won the creme bouquet. (I think that’s what it’s called). John’s birthday is in April…maybe, just maybe I’ll get crazy and make him a cake! Oh yeah, I forgot about that! I hope you feel better prepared for the next cake you take on! ABSOLUTELY LOVED this series!! Question….the cake in the pciture…with the Health bar and toffee on sides…..what is it listed as in your recipes? Thanks!!!! Going to make it this next weekend. I’m still quite a novice at cake decorating but I’m getting there! I used to not believe in crumb layering but after adding one to my birthday cake a few weeks ago, I’m hooked. Your tutorial is awesome! Your tutorial was so fun Veronica! I like to make birthday cakes for my neices and nephews and am always looking for new ideas that don’t involve traditional decorating with tips. I just don’t it often enough to be any good at it. Definitely going to be trying your water bottle trick. You and your hubby are adorable by the way. Did I? That makes me so happy! Yay, more pie is in the world now–making it a happier place. Thanks, Kerry!